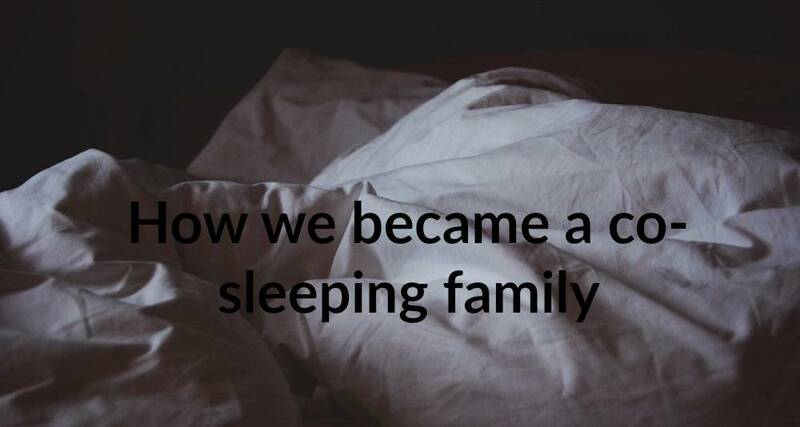 How we became a co-sleeping family. I don’t think I’ve mentioned this before on the blog but we have become a co-sleeping family. Since birth Clem has never been a good sleeper, and I am not going to lie it has been tough. Sleep deprivation is a horrible thing. There is a reason they use it as a form of torture! Right from the beginning she hated her moses basket, we tried everything and in the end she slept in her carry cot from her pushchair. At nap times she hated being put down, only wanting to sleep on me or in her pushchair. We had nights where she would sleep a good 6-8 hours but they were definitely few and far between. By the time she was 5 months old she had outgrown both her basket and the carry cot so we had no choice but to move her into her own room and into a big cot. This was where it all started to go wrong. We went to Devon for two weeks and she ended up having to sleep in a bed with me due to space. I was extremely nervous about doing this and didn’t sleep the first few nights. They do advise you to not co-sleep before 6 months but we didn’t have a choice. We were also staying in a converted barn for the second week with no heating in the middle of winter so it was freezing! Once we returned from Devon it somehow got worse! I didn’t think that would be possible but it was. She hated her cot from the beginning. Just like her moses basket. She had been used to sleeping next to us, or me. She was (and still is) breastfeeding and so began our nightly battles. I got so tired and stressed out that in the end I made up the futon and slept on that next to her cot but she would always end up in it with me. Jess commutes into London every day for his job and I was getting worried that he wasn’t getting enough sleep. I panicked every time Clem woke in the night, worried that Jess would get woken up and have a sleepless night. Truth is he slept through every thing and I was just stressing myself out for no reason. The only thing he was sad about was not having me in the bed. We tried everything that had been recommended to us. We’ve read all the books/websites/articles on what to do. Different methods, different techniques. We’ve tried letting her cry it out, she ended up a complete state, tears streaming down her face, even throwing up because of it! We both hated seeing her like that. It made both of us stressed and angry. We got so fixated on getting her to sleep it made the evenings so stressful for us both and I dreaded bedtime. In the end we just gave in and let her share the bed with us, and so started our co-sleeping as a family. It means I actually get some sleep, Clem also sleeps better now from 8pm until 8am occasionally waking up for a feed. We have also moved our room around to fit in her cot, which is next to the bed with one side removed so she can sleep in that but still be close to me. Obviously it’s not ideal having her in the same bed as us, but hopefully it won’t be forever! We are a much happier household, I’m less worked up about night-time, Jess now has company back in the bed even if it is one extra! We also get a few hours a night now where we can watch tv/read or play a game. That’s much nicer than screaming, crying or vomit!! I’m glad you found a solution that works for you. We’ve never co-slept except a couple of times on holiday – mainly because I just find it so uncomfortable! I guess other toddlers are used to it etc but whenever T is in our bed (in the morning for cuddles etc) he stretches, nudges, elbows etc. It’s so cramped I honestly don’t see how any of us would get decent sleep co-sleeping but I think that’s just our personal situation, because it works really well for lots of others like yourself. We have been pretty lucky I think. We started a bedtime routine from about 10 weeks and although settling T was a little challenging for the first week or so he eventually relaxed and went down beautifully for a long time. Now he’s nearly 3 we sometimes have a battle at bedtime but it’s slowly improving. Good for you! If your kid needs to know that you’re there for them and you can provide that reassurance by co-sleeping, that’s just what you do, right? It doesn’t work for us any more (Matilda’s very happy on a mattress on the floor now) but, if she wakes up after 5am, the only way to get an extra hour or two is to share a bed with her (hers or ours – it doesn’t matter); sometimes they just need you there.